In the run-up to the bypoll to Meghalaya’s Ranikor Assembly constituency on August 23 next, a bunch of athletic young men have been selected to run from polling stations in their villages to the nearest communicable point, through mountainous tracks and forests, to convey to officials the progress of polling. A report published in the The Indian Express stated that besides Ranikor in South West Khasi Hills district, the bypoll to South Tura Assembly seat in West Garo Hills district will also be held on August 23 next. 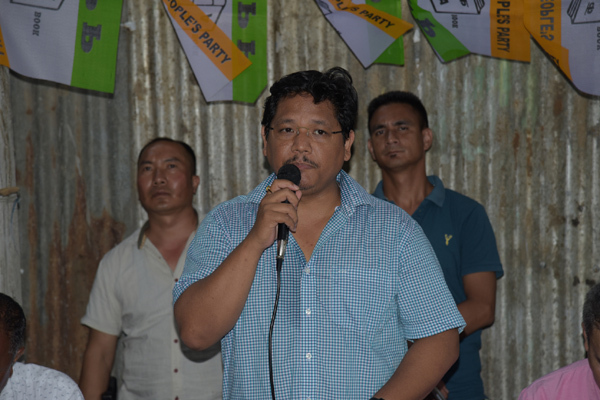 In South Tura, Chief Minister Conrad Sangma is contesting to get elected to the State legislature. The report further stated that the Ranikor bypoll was necessitated after the resignation of Martin M Danggo, five-time legislator who won from the seat earlier this year on a Congress ticket. He is now the National People’s Party (NPP) candidate for the bypoll. Large parts of Ranikor, which is characterised by a rugged terrain and is located close to the India-Bangladesh border, neither have motorable roads nor mobile connectivity. This is where the “runners” come in. These young men, known to be athletic in their village communities, will sprint from polling stations in inaccessible areas to the sector polling officer and convey information about the polling process. The polling officer, in turn, will convey it to the district headquarters. The Chief Electoral Officer (CEO) of Meghalaya, Frederick Roy Kharkongor, confirmed that at least 10 such “runners” have been identified by the district administration. “They will be expected to make four trips — first around 9 am to inform if mock-polling has been held and whether polling has begun, the second around 11 am with information about polling trends and turnout, the third at 1 pm and then sometime between 3 pm and 4 pm,” Kharkongor said. Laloo said the selected youngsters are in their early 20s and they will get appointment letters in the coming days. “They are young, athletic and trustworthy. They have been selected by the Booth Level Officer in consultation with the village headmen and they have been briefed by the Sector Officer of their respective polling station,” Laloo said. She added that the “runners” will be paid remuneration, but did not specify the amount. The process of conveying information and the location of communicable points — where mobile network or radio connectivity are available — will be explained to the “runners” by the sector officers. “To turn the wheels of democracy effectively, you need swift flow of information on the election day. These young people will be the living bridges of information between the polling officials and sector officers,” the CEO said.